Writing or updating a resume is often the most dreaded part of a job search. Whether it’s writer’s block, a ton of experience to cover, or simply the desire to never look at your resume again, we get it. 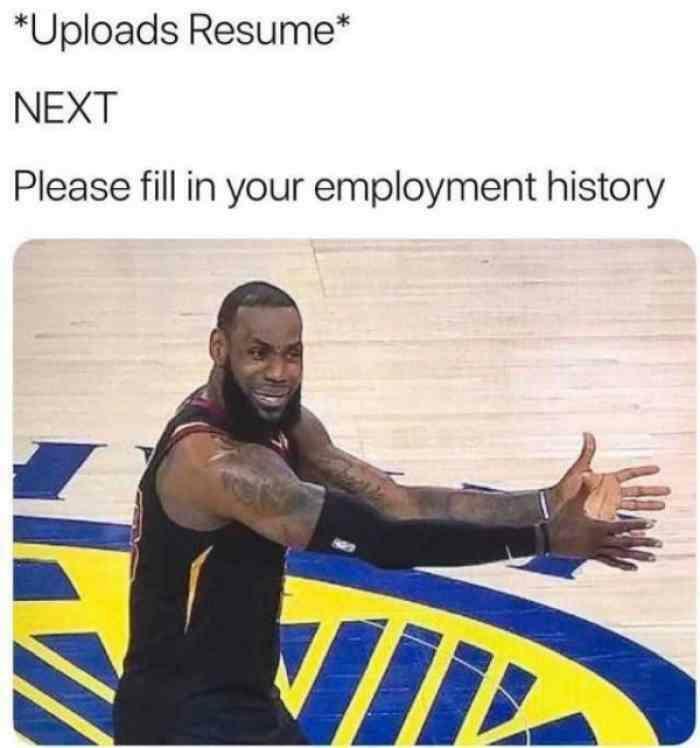 If you’re feeling frustrated with your resume or job search in general, take a break and get a laugh or two out of these resume memes and resume jokes. We scoured the internet to find our favorites to share with you. It’s always a good idea to have an updated resume on hand with your latest and greatest skills, experience, and achievements. Even if you’re not actively looking for a new job, your dream opportunity could pop up at any time. Be ready. 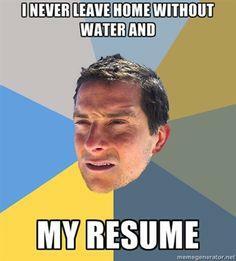 If this resume meme resonates with you, you have an excellent sense of self. And you should already know that it’s time to consider a career change. Knowing what you DON’T want to do in your next job is just as important as knowing what you DO want to do. While tailoring your resume and cover letter for every position you apply to is time-consuming, it’s essential if you want the interview. As long as you’re applying to similar positions, it should only take you a few minutes each time. Save a “master version” of your resume to return to with each application. Resume writing can be a major pain point in the job search process, but these documents are still essential. 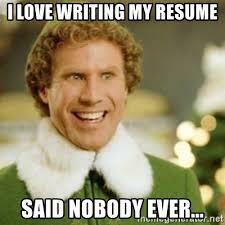 Read some resume writing articles, view some templates for inspiration, or hire a professional to do it for you if you need help. 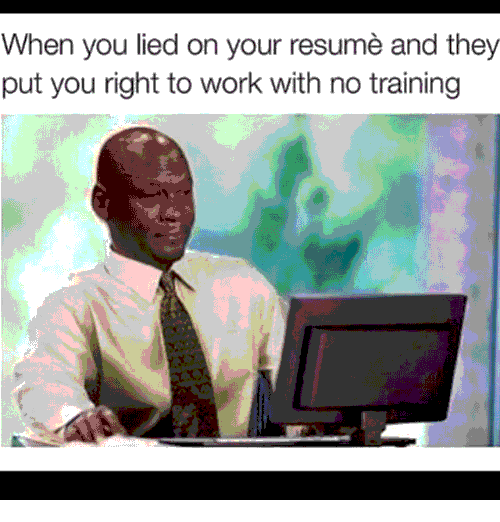 If this has ever happened to you, you’ve likely encountered an applicant tracking system. 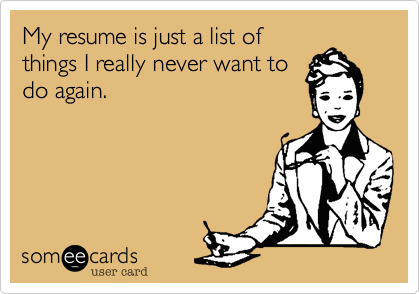 As much of a headache as it can be to complete an online application, never put “see resume” in these fields or leave them blank. Follow instructions to the letter if you want the job. Don’t underestimate the message your email address could be sending. 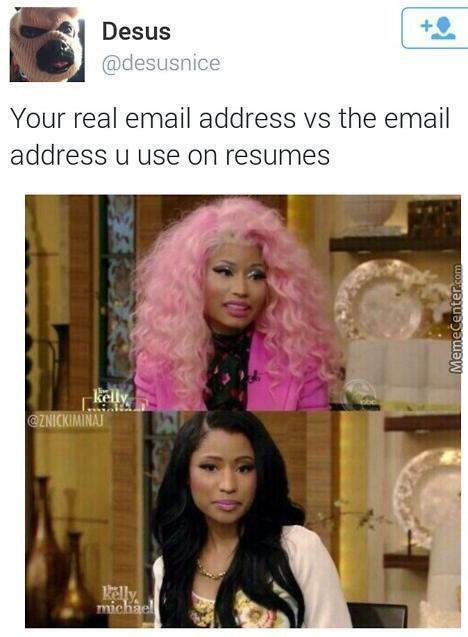 If you don’t have a professional email address (this resume meme is for you, BeerMeBro@aol.com), create one and consider using it exclusively for your job search. That will help you make a solid first impression while staying organized. 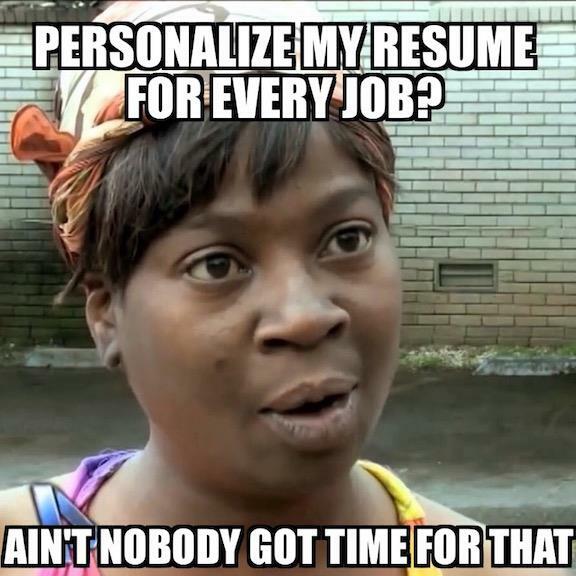 We already mentioned how important it is to customize your resume and cover letter per position you apply to. A key part of that is ensuring you send the right versions to the right employers! Thoroughly proofread your documents including areas you change per job, and consider referencing the employer in your file name to keep things straight. 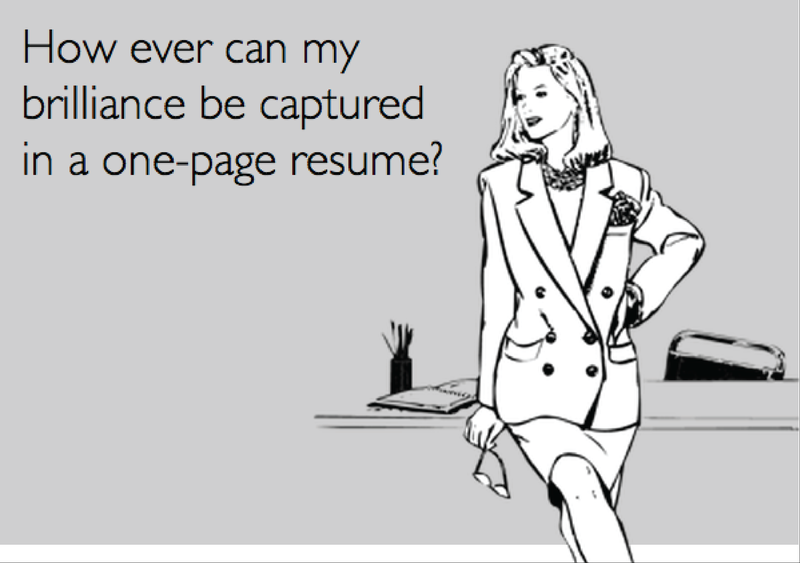 Lying on your resume is a big no-no. Even if you get away with it and land the job, you’re bound to be exposed eventually and even get terminated. It’s important to sell yourself, but stay within the realm of reality. While it’s perfectly acceptable to have a two-page resume, especially if you’re an experienced professional, always strive for concision. 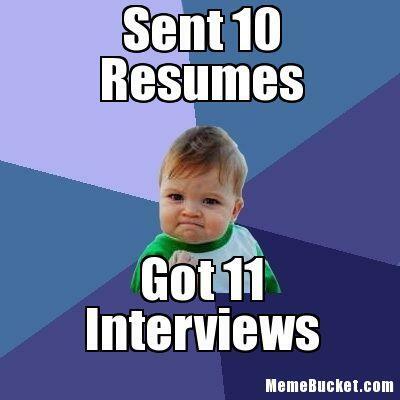 Your resume should be as short as possible, but also as long as necessary to get you the interview. 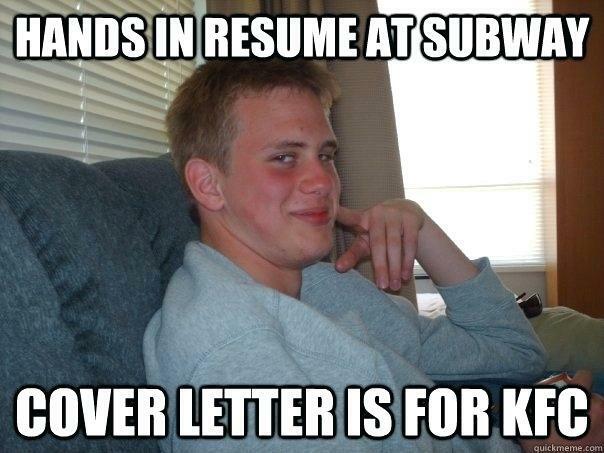 We’re rounding out our list of favorite resume memes and resume jokes with this encouraging one. The right attitude will go a long way in your job search. Stay proactive and optimistic – your dream job is out there!